How much do you want to spend? Typically when choosing a flow meter, the higher the accuracy, the higher the cost. 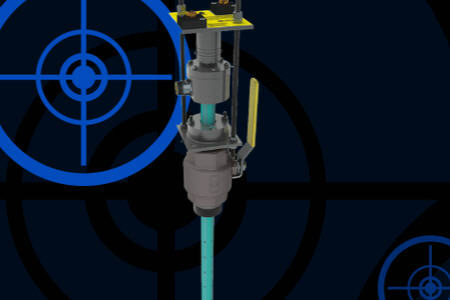 So, when considering an electromagnetic flow meter, cost and accuracy go hand in hand. Over the years the electromagnetic flow meter offers a very high accuracy with a very reasonable cost. Your return on investment (ROI) is typically less than six months, and the accuracy achieved can be as high as .25% to .5% of flow rate. Considered one of the best choices when it comes to flow metering, this type of meter can be applied in a wide range of applications. Since electromagnetic flow meters have no moving parts, maintenance is typically very minimal. Expected service life is 30 years. Depending on your fluid media and/or water quality, the electrodes may need to be periodically cleaned according to the manufacturer’s recommendations. As you compare different electromagnetic flow meters, be sure to calculate the cost of installation and maintenance, and also amortize the cost of the flow meter over its lifespan.